"We lead clients into the New, leveraging applied intelligence such as robotic process automation and virtual voice and chat assistants." I started at Accenture as an intern at the local marketing office in Slovakia. Most of our activities were organized around recruitment marketing to attract the best possible talent, which meant organizing and participating in a variety of social events and university recruiting activities, as well as job and career fairs. I was entrusted with numerous responsibilities from the beginning. Managing the Accenture presence at events helped build core project-management skills I would need later in my consulting career. Today, I’m a senior consultant in our Management Consulting group, working mainly in the Communications, Media & Technology industry. Currently, I’m leading several streams within our digital transformation program for customer operations for a central European telecommunications company. When I was an intern, it was important to stay organized, as I was always on the move. I coordinated tasks and communicated with people from all areas of the company—from internal clients and on-site managers to third-party vendors, providing support and services at our recruiting events. Now, my day-to-day work includes leading a team for an exciting project. We are designing and overseeing the implementation of a solution that uses predictive analytics to predict the topic a customer needs help with when calling into a call center and then help to solve the problem via digital channels such as virtual assistants and/or other digital platforms. Every client and every project is unique. We get to lead clients into the New, leveraging applied intelligence such as robotic process automation and virtual voice and chat assistants. We dream up the solutions and then we make them happen, which requires coordination and understanding across the board. The best part is bringing the solution to life and seeing the benefits they bring to the client. There are two things I like best about working at Accenture: the possibility of always learning something new and the people. My colleagues help me keep my head above water, even in the toughest times, and if I’m tackling a problem I can’t solve, there is a high probability that I can learn from someone who has already tackled something similar. 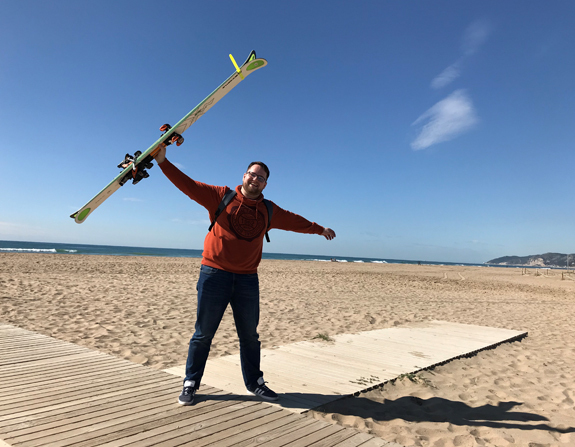 And we have fun—I recently returned from the Accenture Ski Challenge, an annual event where skiing enthusiasts from nearly 20 Accenture offices gather at a ski resort to compete against each other. Go for it! If you’re interested in this work, try it on your own as soon as possible. If possible, seek out an internship, which is the best way to find out if consulting is the right fit for you.